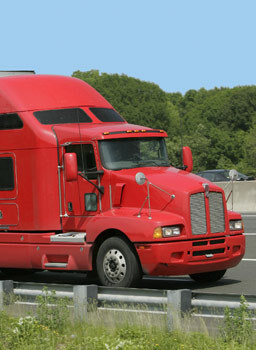 ALLOW OUR TRANSPORTATION LAW ATTORNEYS TO HANDLE YOUR MINNESOTA TRANSPORTATION LAW NEEDS. Trepanier MacGillis Battina P.A. represents intrastate and interstate household goods movers, motor carriers, dedicated logistics companies, delivery companies, warehouses, and private manufacturing companies with their own vehicle fleets. TMB attorney Craig W. Trepanier is an associate member of the Minnesota Transport Services Association, of which he is the corporate secretary. He was commissioned to update the MTSA’s model Independent Owner-Operator Agreement in order to establish and preserve the independent contractor status of drivers for both intrastate and interstate motor carriers and comply with federal Truth in Leasing Act (TILA) regulations. Let TMB assist you in improving your motor carrier compliance program, updating your transportation, storage, and delivery contracts, or representing you in the courtroom. Instead of taking chances with complex regulations, take advantage of our initial legal consultation with one of the transportation law attorneys of Trepanier MacGillis Battina P.A. We offer a two (2) hour customized legal consultation for the flat fee of $500. Click here to review the terms and conditions of our Initial Legal Consultation Policy. Please call us now or complete the contact form below to learn how we can help you with transportation law matters. Please tell us about your legal issue and what you wish to accomplish. We look forward to the possibility of representing you.